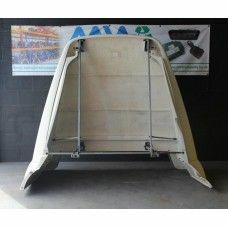 DAF CF 85 Air / Wind Deflector Roof SpoilerRemoved from low cab typePlease note: Requires forklift t..
Mercedes Atego 1224 Cab Lifting Pump and BracketPart No. 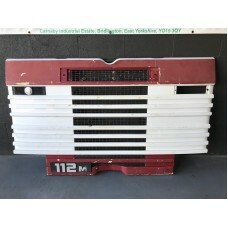 0015530001..
Upper & Lower Bumper for 2004 MAN/ERF ECM 18 Ton Inc LightsMinor Defect: some cracking in the fi..
Vintage Scania 112 Topline Front GrillDecent condition all round. A few scuffs and tears in th..
Volvo FH12 Version 1 Roof Spoiler Wind Air Deflector Low CabinA few scuffs and scrapes on the top of..
Volvo FL10 Front Grill Including Headlamps and Brackets..
Volvo FL6 Complete Front Grill Including BadgesGood overall condition with no visible damage. The gr..